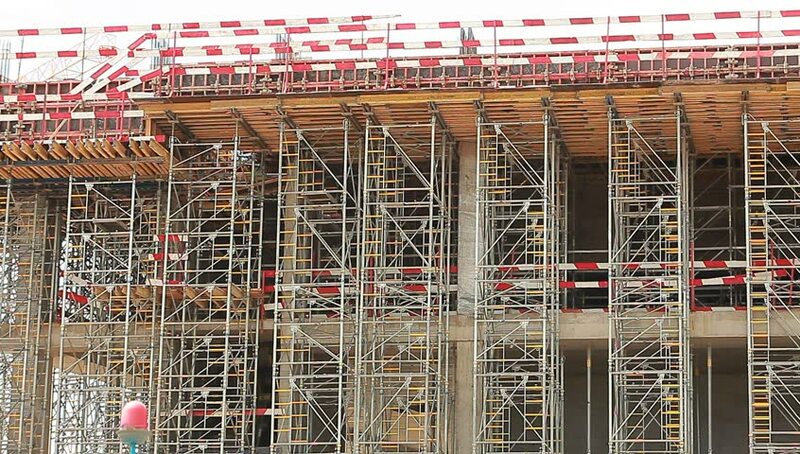 scaffolding and formwork in installation building fencing Tape on site. 4k00:15Tokyo - May 2016: Aerial city view with trains passing by. Ginza. 4K resolution speed up.